Yiva Yoga – strengthens the body, relaxes the mind and makes the soul happy. 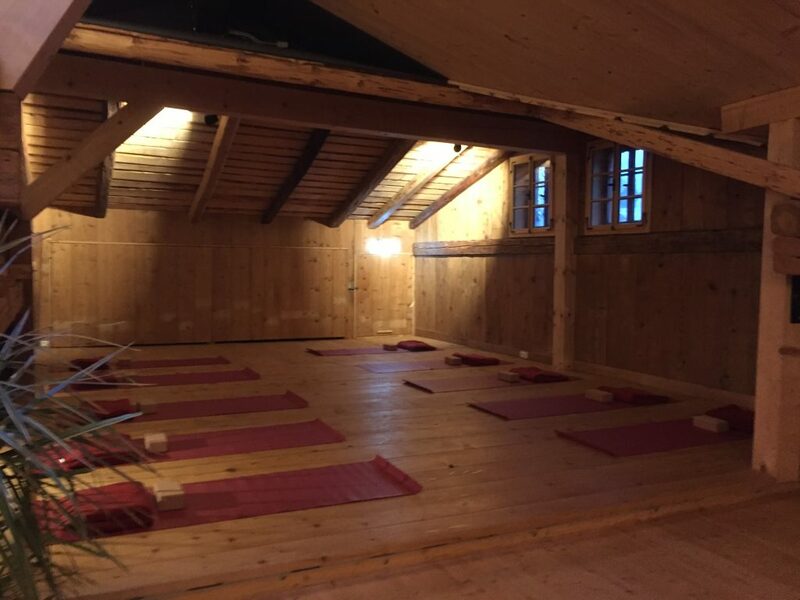 Alix von Melle teaches Yoga, focused on the back, and YinYoga in the Stadlerhaus, a 300 year old, renovated and cozy farmhouse in Schwangau. The back-yoga class is very much in the focus of a back-strengthening yoga practice: Gentle exercises mobilize the spine. Followed by strengthening and stretching exercises for a relaxed back. YinYoga is a very calm and careful yoga style with long, passive and gentle stretching. As a result, they are not so much on the muscles, but rather on the deeper layers (like the fascia), the connective tissue, the ligaments, the tendons and the joints. YinYoga is the yoga of letting go. Both yoga classes are suitable for both beginners and advanced. Alix is ​​a trained yoga teacher, her great passion is mountaineering. With seven summited eight-thousanders without artificial oxygen, she is currently the most successful German mountain climber. In yoga she finds the balance to competitive sports. The lessons are on Wednesdays (not during school holidays) from 17:30 to 19 clock (back yoga) and 19:30 to 21 clock (YinYoga) in Kröb 26, Schwangau.